The Android 5.1.1 update for Android Wear introduced what I would consider to be the most important new feature since the platform launched. I’m talking about WiFi connectivity of course, which lets you have some freedom from your phone and the Bluetooth connection that previously tied phone to watch. 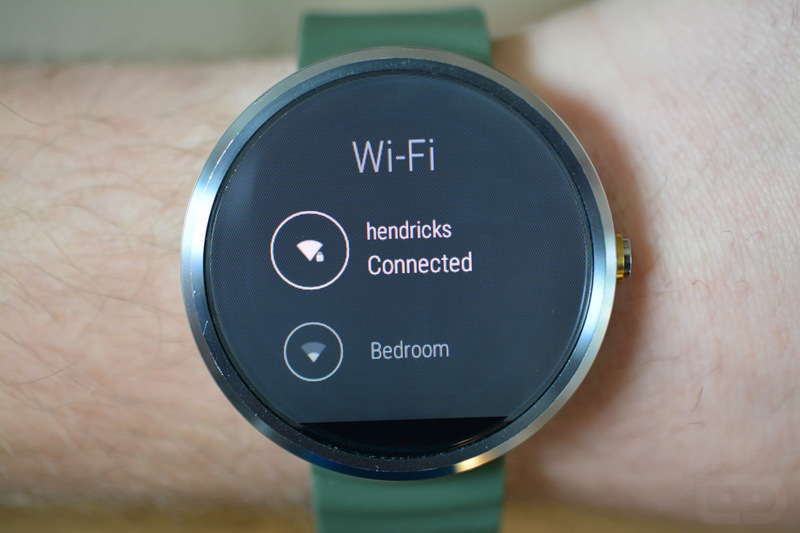 With WiFi connectivity on your watch, you could leave your phone on the other side of your house or office, lose that Bluetooth connection, yet still sync notifications to your wrist. You still get to interact with notifications, respond to messages via voice, and launch Google voice actions. This really is one of those game-changing type features because it allows your watch to be less reliant on having your phone nearby at all times. And with that in mind, we thought we should walk through the setup process for WiFi on your smartwatch because the process isn’t as straight-forward as one would hope. There are things like Cloud Sync and “Automatic WiFi” involved, none of which you would probably think to look for without being told. Thankfully, once you have WiFi ready to go, it’s one of those things that you can set and forget, as the hand-off from Bluetooth to WiFi should happen automatically going forward. In the video below, you will find the instructions in a step-by-step format. Let us know if you have any questions.